The size and location of your cracked tooth will help to determine its treatment. Cracked teeth occur more often in molars because of their role in chewing and grinding food. Often small cracks are common and do not pose a problem. However if you are experiencing any pain related to your cracked teeth, its important to call Provo endodontist Dr. Jon Jenson as soon as possible. For small sized cracks, a dental filling may be enough to stop further cracking and to give strength to the affected tooth. Cracks at the top of a tooth and that affect the cusps of the tooth can be fixed with a dental crown. If the crack goes deeper and affects the pulp of the tooth, endodontic treatment will be necessary. Roughly 20% of cracked teeth require a root canal. Dr. Jon Jenson and his Provo endodontic team can give you a comfortable, stress-free root canal experience. 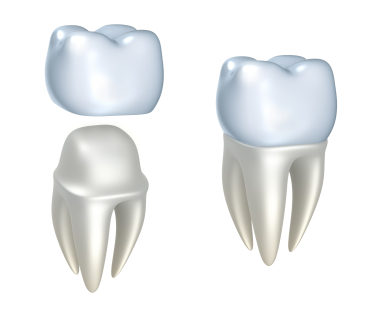 In extreme cases when the above treatments won’t work, a tooth may need to be extracted. If this is the case, there are plenty of restorations available to replace your missing tooth. You might consider dental implants or a dental bridge. If you are experiencing a cracked tooth, schedule a visit with Dr. Jon Jenson to find out the best way to restore the strength and function of your tooth.